Of the recent deluge of announcements from GameClub of old titles being brought back from the dead, Incoboto was one that attracted particular excitement amongst our community. Despite being released all the way back in 2012 – originally as an iPad exclusive, no less – Incoboto’s abundant charm and clever physics puzzles that shared the same philosophy of the likes of Portal and Super Mario Galaxy really struck a chord with a wide variety of gamers. As a result, it’s understandable that people have been dying to get their hands on the game again – thankfully, we don’t have long to wait. GameClub have today announced that Incoboto will be available for testing in their early access program from Monday 8th April, so be sure to sign up if you’re interested in reliving this iOS classic. 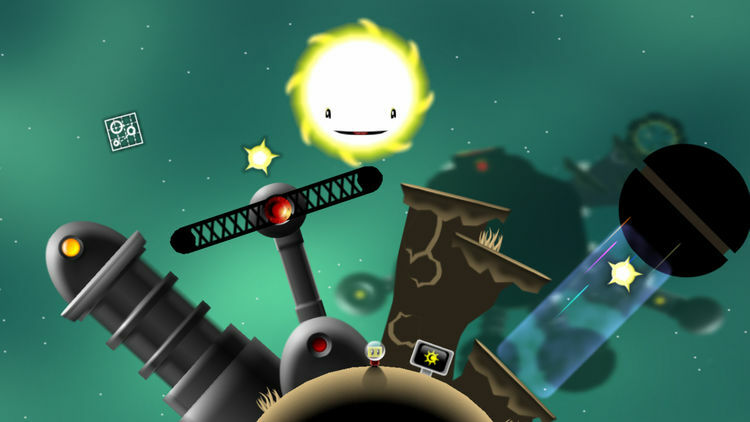 Over the course of its App Store existence, Incoboto received critical acclaim from a number of mainstream publications, a glowing review from TouchArcade and even recognition from the BAFTA Awards, with a nomination for Best Mobile/Handheld Game in 2013. Despite the seemingly permanent smile on the face of Helios, your omnipotent star companion, Incoboto features some really powerful themes that elevate it beyond being simply a fantastic use of the mobile platform. Incoboto’s release really emphasises the fact that GameClub serves another purpose beyond simply acting as a nostalgia drip for old farts like me and ensuring the legacy of classic iOS titles. Really, the most understated yet important part of GameClub is bringing these games to a whole new audience who may have never heard of these titles before. If you’re looking at GameClub’s current line-up and think there’s nothing there for you, I can assure you that there almost certainly is – you just need to give these games a try. And what better way to do that during their free early access program! Be sure to sign up for a chance to experience Incoboto once again before anyone else.